1 Centimetre Antiqued Copper Plated Rope Chain. 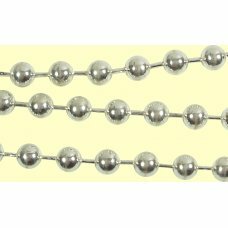 Heavyweight chain sold in continuous length from the..
1 Centimetre Silver Plated Ball Chain, approx 4mm ball, spaced every 6mm, ie 10 balls in 60mm (#10 g..
1 Metre Silver Plated Figaro Chain, Small links measure approx 3.5 x 3mm, long links measure 6x3mm, ..
1cm Copper Plated Bar Chain, approx 1mm diameter bar, links approx12mm long. Our copper items are s..
1 Silver Plated 20cm Bracelet Chain with Clasp – adult size - just add charms a..
1 Sterling Silver Lightweight Curb Necklace Chain 18in. 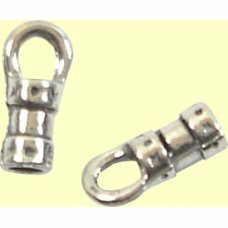 0.75mm chain width with bolt ring clasp. Mar..
10 Smallest Sterling Silver End Crimps with Ring 0.65 mm Inside Diameter perfect for single strands ..
Sterling Silver Figarostyle Chain pattern repeats every 8mm (3 patterns to an inch) relatively fine ..
Silver Plated Fancy Curl Detail Chain – silver plated over brass base. Central motif with a do..
1 Gold Filled Beadable Bangle simply add wired beads and charms measures approx. 73mm acro..
1 Silver Plated Medium Curb Chain 16 inches with bolt ring clasp. 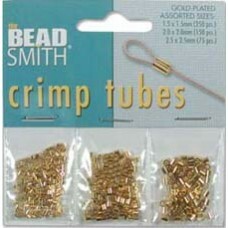 Gold or silver plating over bas..
1cm Goldfilled Chain Links measure approx.3.7mm 81/ 2 links per inch. Sold by the centimetre in..
1 metre Gold Plated Curb Chain - ideal for use as extenders or as charm bracelets etc. Link size app..
1cm Oval Link Copper Chain, made from pure/ solid copper. Links measure approx. 10x8mm. Sold in..
Sterling Silver Fine 0.6mm Foxtail Chain this is the loveliest chain to work with it will thread thr..
2 Medium Sterling Silver End Crimps with Ring 2 mm Inside Diameter various possible uses for these e..
1 Sterling Silver Fancy Link Closed and Open Link Charm Bracelet with Clasp bracelet measures approx..
1 Sterling Silver Extender Chain with Heart Charm about 12 links of chain and a puffed heart charm (..
1 Silver Plated 18cm Bracelet Chain with Clasp – child/small adult size - just ..
Sterling Silver Tracestyle Chain approx. 18 links to an inch. 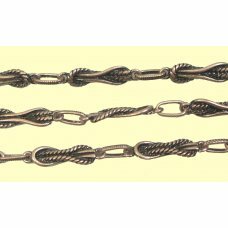 fine delicate chain useful for safety ..
1 Silver Plated Heavy Curb Chain 18 inches. Gold or silver plating over base metal give the look an..
1cm Gold Filled Fine Beading Chain. 0.7mm diameter it will thread through most Swarovski crysta..
1 Silver Plated Medium Curb Chain 18 inches with bolt ring clasp Gold or silver plating over base..
1cm Goldfilled Chain Links measure approx.1.3mm 16 links per inch. Sold from the spool in conti..
1 metre Silver Plated Curb Chain - ideal for use as extenders or as charm bracelets etc. Link size a..
1 cm Multi Link Design Gorgeous Copper Chain, made from pure/ solid copper. All links are solde..
10 Small Sterling Silver End Crimps with Ring 1.2 mm Inside Diameter perfect for thin leather cord e..
Sterling Silver Chain Tiny Heart shape sold by the centimetre each link measures approx. 2x3mm. Sold..
1 Sterling Silver Fancy Link Ball and Bar style Bracelet with Clasp bracelet measures approx. 7.5 in..